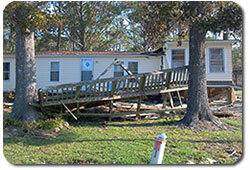 ROCKY MOUNT NC – Your property damage may have occurred in many ways and can have a number of causes. NC is historically a favorite landing spot for hurricanes. In spite of regular hurricanes, destructive events in North Carolina are more than just hurricanes, and American Property Loss’ Rocky Mount Public Adjuster services have been involved with them all before. Frequently NC homeowners insurance claims are a result of just one cause like a house fire, but other sources, as we saw with Hurricane Irene in 2011, are more complex with hurricane damage that involves wind damage and flooding damage. Our primary local Rocky Mount Public Adjuster NC has a full background in construction and actually is a currently licensed NC General Contractor. If there’s anything to be known about a house, commercial property or general structure, our local Rocky Mount Public Adjuster knows it – he’s built them all before. Our Rocky Mount Public Adjuster knows prices in the area, local building codes, general building quality and understands your expectations. From being able to accurately estimate your property damage claim on a complete loss from house fire damage to being able to estimate water damage from a washing machine gone haywire, our local Rocky Mount Public Adjuster knows the things to include in your Rocky Mount property damage claim. Below are some of the causes of Rocky Mount property damage claims and where American Property Loss’ local Rocky Mount Public Adjusters can help you! Your insurance company will assign their own insurance adjuster to your claim. Those claims adjusters can be responsible for many, many cases at any given time. With that kind of workload, your adjuster may not notice little items, and yes, it’s possible that a few big ones are overlooked as well. When it all washes out, those items can be the difference between rebuilding properly or having to skimp. Our local Rocky Mount Public Adjusters work to ensure that we find all the items and it’s properly submitted in your Rocky Mount property damage claim. Will it be a “wash” by the time I pay the Rocky Mount Public Adjuster NC Service? No, that’s not our expectation. 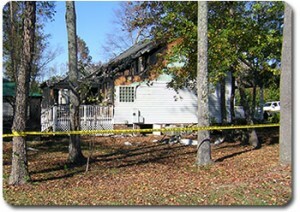 Our NC Public Adjusters can meet with you and do a quick preliminary examination of your property damage. They will have a real good idea of what the property damage claim value will be pretty quickly. And honestly, if it looks like it will be a wash, we’ll tell you. It’s not our goal to inject ourselves into your Rocky Mount property damage claim and get you the same money that your insurance company is already offering you. That’s not our style. There are a lot of fire loss property damage claims, wind damage claims, water damage claims and flat out denied property damage claims that really need the skills of our Rocky Mount NC Public Adjusters. We’ll tell you if your property damage claim is going to be a wash – and then you can decide where to go from there – you may still want us to handle it to just spare you the aggravation. We pride ourselves on working with customers as they really are – like our neighbors and friends. Will you have enough to get your life back to normal? There will be a difference between what our Rocky Mount Public Adjusters will find versus what your insurance company will find. We guarantee it. Sometimes, this difference can be large – and can be the primary factor in getting your life back to normal. If, for any reason, we don’t think that using our NC Public Adjuster services will actually benefit you though, we will tell you.